Today, we are well known for the cloud technology introduced in mobile phones and computer systems. It is a very helpful technology that can help you to store and save your essential data on the cloud. The best thing about using cloud technology is you won’t lose any of your saved data. Storing your private data in a mobile may be a risky step as you might lose or drop your phone. However, the cloud technology will protect your valuable data and files. With iPhone and iPad, we can use iCloud to save our files and data in the cloud. But we have some limitations in iCloud like the limited accessibility of folders and documents. That’s the reason why some people don’t like iCloud technology. But if you regularly use cloud storage but don’t like iCloud, here are the best cloud storage apps for iPhone and iPad. Like we said, if you want a different app to storage your private data, read our list of the best cloud storage apps for iPhone and iPad. Google Drive is a fantastic alternative to iCloud. It provides all the basic and advanced features of cloud storage technology. You can introduce this app on your iPhone or iPad for free from App Store. 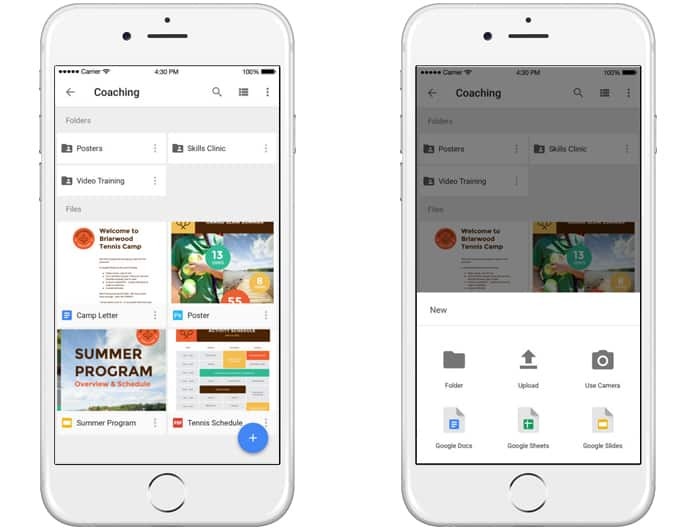 You can easily save your files and folders in Google Drive. You can also edit your documents and files in real time. Google Drive provides you a very simple and easy to understand interface that will allow you to work with it easily. You will also get a lot of extra features like sharing your documents and files with others. It means you will get a complete package by installing Google Drive on your mobile. DropBox is one of the most using cloud storage apps on the internet. When it comes to the cloud storage, DropBox is on the top of the list. The main reason is its compatibility and its simplicity. 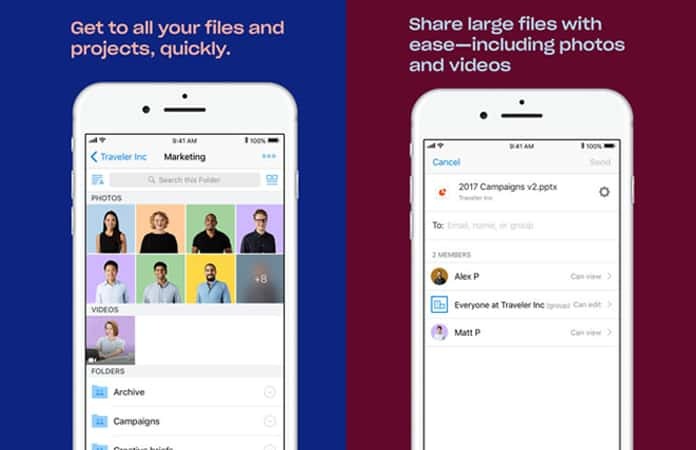 DropBox provides you a simple way to store, share, move and remove your files and folders from the cloud. You will get auto updates to the cloud which will help you to work with your files in a better way. An amazing feature of DropBox is auto syncing of your device’s photos. It means you will not have to sync your photos manually. If you use cloud storage often, you can use its automatic sync feature to sync all of your pictures to the cloud. 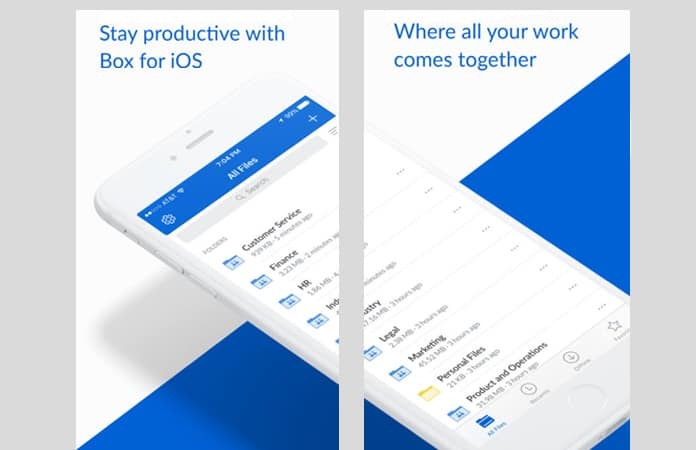 The Box is another cloud storage app available on the internet for your iPhone and iPad. It is a considerable alternative to iCloud. If you are a regular cloud user and use the cloud to sync most of your files, documents, and photos, Box is probably fit for you. The reason is Box provides a simple and easy way to edit your files. It also gives you the feature of editing your files and photos directly from your iPhone or iPad. It means you will not have to go to the cloud and edit your files. Only open your synced files on your phone and edit them. You will also get 10GB of cloud storage with Box app which is really a great thing. 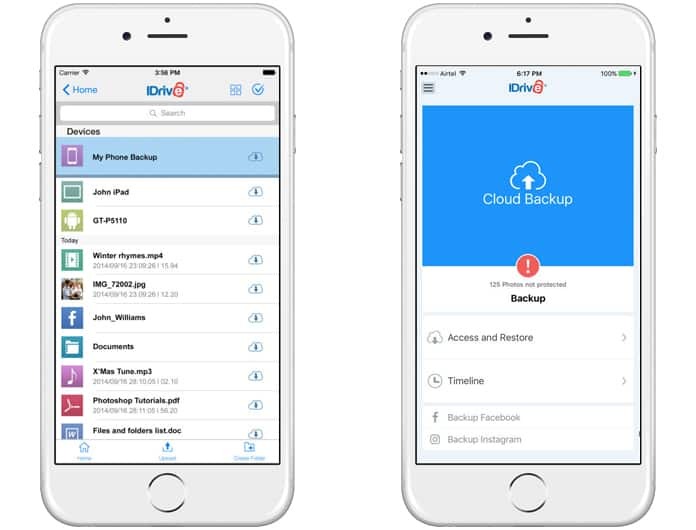 iDrive is one of the best cloud storage apps that you can download it on your iOS or Android device. This app protects your digital life and backs up your mobile data with private key encryption. Whit this app you can backup and restore contacts, videos, health data, photos, and calendars with a single tap. iDrive allows you to access your data from anywhere and you can easily sync files between all linked devices. iDrive is compatible with iPhone, iPad, and iPod touch and you can download it for free from App Store. This app is a secure cloud storage service that gives you 50 GB free storage space. 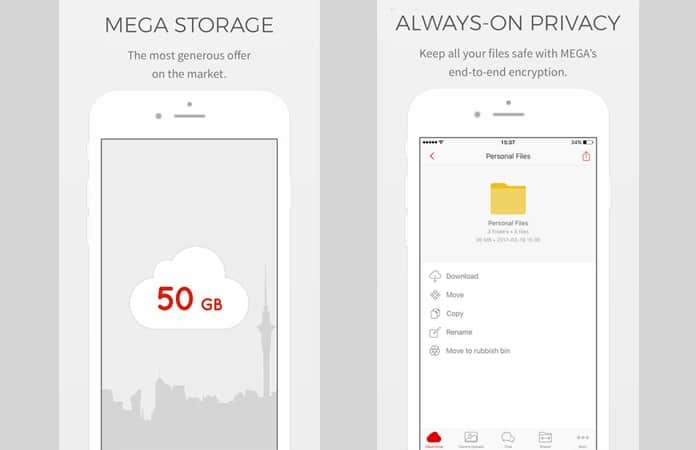 With the Mega app, your data is encrypted and decrypted only by you. The Mega app allows you to upload files from your smartphone or tablet then search, download, stream, store, share, rename, view, or delete your files anytime, from any device, anywhere. You can share folders with your contacts and see their updates in real time. The encryption process means no one else can access or reset your password so you must remember it or you will lose access to your stored files unless you have your Recovery Key backed up. Most of the cloud storage apps offer you a limited amount of free space, and they hope that you’ll upgrade when you run out of storage and sign up for a subscription package. 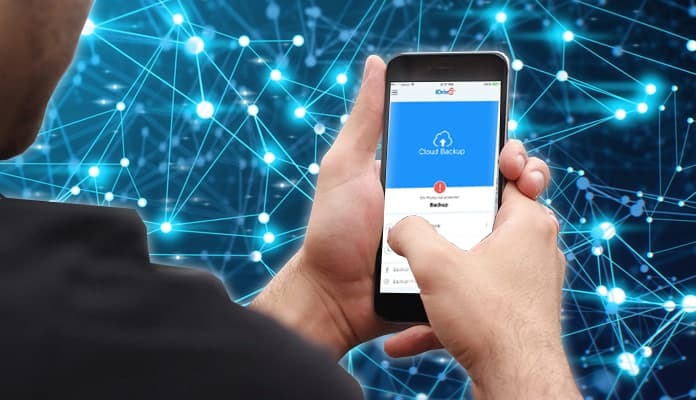 For that purpose, we showed you a list of the best cloud storage apps for iPhone and Android you can download it for free. So which one you liked the most?